The rotunda, with spiral staircase leading down. 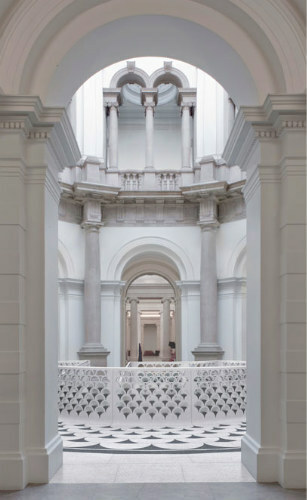 Too often overshadowed by its younger, brasher brother downriver, Tate Britain is finally getting some pecuniary TLC: the gallery is to benefit from a £45 million upgrade. Orchestrated by architects Caruso St John, who won plaudits in 2009 for their well-received Nottingham Contemporary art centre and also worked on the Museum of Childhood in Bethnal Green, the project will see nine of the 19th century building's original galleries remodelled, and the grand portico and entranceway onto Millbank given a facelift. 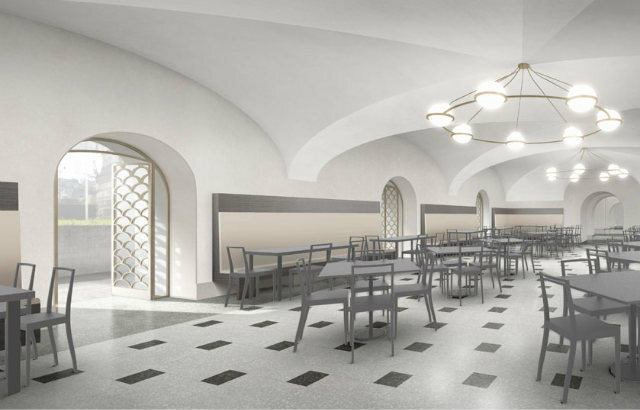 The domed atrium at the building's centre will also be opened up, and the top floor, unused since the 1920s, transformed into a members' room and space for private views. 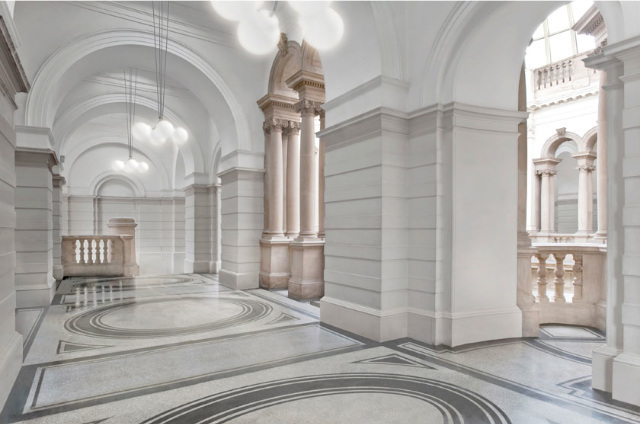 The rotunda, currently home to drab information desks, will be restored as a gallery space, and will also have a new, spiral staircase leading down to an archive that looks at the gallery's history as well as that of the notorious Millbank prison, the site of which Tate now sits on. Good news, too, for anybody who has "enjoyed" a coffee in the cramped underground cafe: it will be moved to a new location and given an outside terrace. In an interview with The Art Newspaper, gallery director Penelope Curtis, who has been in the position since April, revealed that £28.5 million of the total funding has been raised thus far, entirely from private trusts and individuals, and that she remained hopeful the remaining money could be raised in a similar fashion. Keeping the project free from public sector investment makes sense: in a time of severe arts cuts, it wouldn't look good for a leviathan to take in money that could be better spent propping up smaller galleries. That said, the gallery's sources of funding are a cause of concern for some, and there were protests earlier this year by activists angered at Tate's continuing relationship with BP. 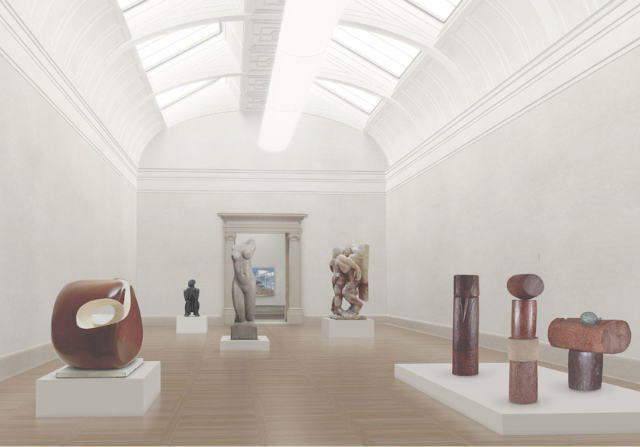 The project, which should commence early 2011 and be completed for 2013, does unfortunately mean that parts of the gallery will be temporarily closed. 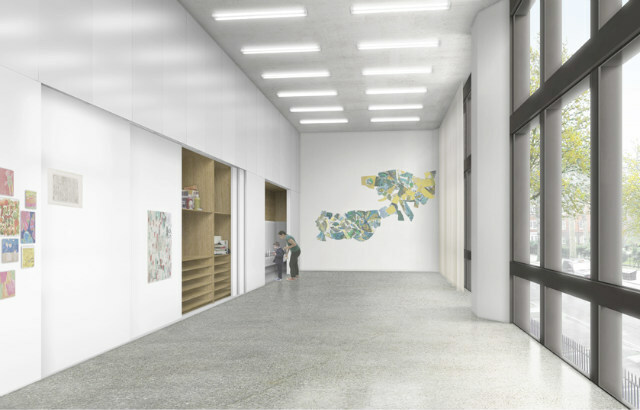 See also: Images of the Tate Modern extension.